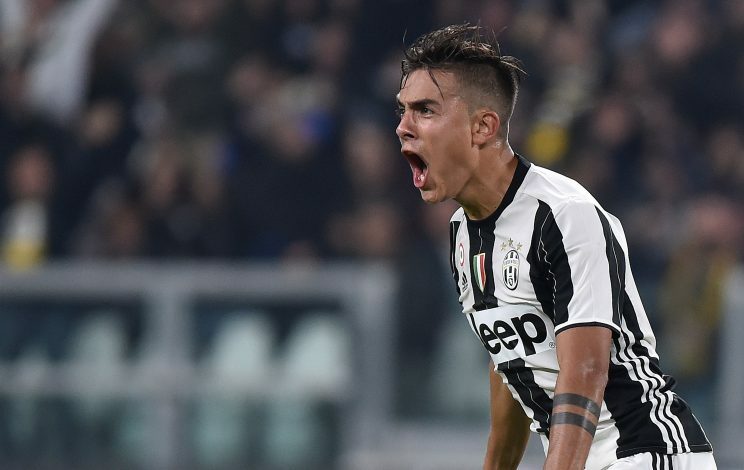 Paulo Dybala is apparently looking for a way out of Juventus, and his brother has initiated talks with two of Europe’s elite clubs over the possibility of a transfer. The 24-year-old is one of the brightest talents on the continent, but his form has tailed off a bit lately. Despite scoring an impressive 12 goals in 17 league games as well as bagging 3 assists, he has only managed to get 2 goals in all competitions since October. Still, Real Madrid and Manchester United are both fully aware of his bags of potential and talent, and could compete for his signature now that the opportunity to sign him has presented itself to them. WATCH: Dybala To Replace Mkhitaryan? According to Rai Sport, Dybala is struggling in Turin, and is eager to move to another big club in Europe, and hence, his brother has approached Real and United over the possibility of a transfer. The report goes on to claim that the Argentine, who was once dubbed ‘the next Messi’, is looking for a pay rise, and could join the club that offers him a better wage packet than the €7 million he currently earns per season. The forward is reportedly on the lookout for €10 million, but it is believed that he may find it difficult to find a suitor willing to offer him that much money after his recent dip in form. Massimiliano Allegri has had no choice but to drop him to the bench lately after a string of below-par performances. He was forced to sit with the substitutes in Juventus’ 3-0 win over Bologna, and his manager hinted that the starlet wasn’t in the right shape – physically and mentally – to start. “Dybala came on today and did well, but there are moments when a player just isn’t at his best and luck isn’t on his side,” Allegri told Mediaset Premium. “I have important players, it’s motivating to have competition for places.